Family business practitioners see the investigation of differentness family to family and detail to detail as the heart of today's practice. 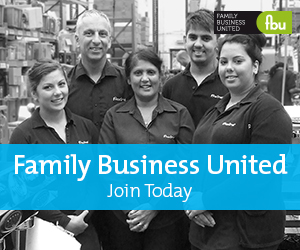 When it comes to family business there is no "identikit". No off the shelf package will sort out the identikit governance and succession problems of your family business clients. Each family differs down to your last incisive question that uncovers the particularity at the root of its challenges. Family business practitioners see the investigation of differentness family to family and detail to detail as the heart of today's practice and this requires new techniques and competencies. Your practice needs not just core accounting but also access to coaching, psychological, management, family law, wealth management, mediation and counselling skills to provide a tailored governance solution focused on the dynamic of each family. There is an alternative; you may be the adviser whose prognoses required the engagement of a more expensive adviser to undo the damage. A client review for a new family client seldom goes beyond the business fundamentals. Yet in family businesses there is no decision untouched by the chemistry of family - the big things in life - the family ethos, myths and history, passions, duties, friendships, values, convictions and personalities. Family businesses are shaped by families and so should that new client review be. The best of the men (and women) of affairs at the shoulder of business patriarchs and matriarchs have always known that the feud between two arms of the family may be about business outside but childhood jealousies and rivalries inside. "Our parents sent you to INSEAD and brought you back to run half the business - I learned top to bottom", as a second son put it to me, will perhaps shape family dynamics for 50 years. Taken this way contract terms and discounted cash flows can become lesser considerations than narcissism and ego. Do you feel capable of discovering and negotiating with these issues? Can you enlist someone who can? Over the last 25 years family owners and advisers are more willing to face, discuss and learn from family truths and to consider family and business together to shape their responsibilities and responses to both. Yet even in economies such as India where the importance of family business is recognised, the recognition of family/business interaction is merely dawning. The right answers, competencies and networks are still a question mark for many advisers. succession does require a tool kit of structures. It needs good knowledge of the application of trusts, international law, family law, foundations and tax. Most of all it requires knowledge of the interaction of the technical and the personal; the latter being the trained capacity to coach and mentor family business members by asking the right questions that bring families to communicate honestly and constructively about the future. Yet some 71% of listed Indian capital is family owned and that suggests that an even larger proportions of private business is too (S. Chakrawertti, Families aren’t such a bad deal, Commentators worldwide agree that family commitment to the long term, to family members and to community is a great strength often building greater profitability. Equally whilst little is known about survival rates for Indian family business, commentators agree that, everywhere they carry the seeds of their own destruction. The old saying "shirt sleeves to shirt sleeves in 3 generations" has much truth to it, perhaps 5% survive to the 4th generation. Crises of succession terminate many enterprises; the wrong heir; fighting heirs; unprepared heirs; heirs who did not want to inherit but wanted to be anything else; founders who die without any plan and leave heirs clueless about the business; founders who retire in name and within 18 months come back. In today's India, with a more open and competitive economy even a shared decision between the generations can be fatal as markets change. Equally, validly many families decide rationally that the business is no longer for them and sell to everyone's benefit. The worldwide GLOBE model study of societies (GLOBE Study of 62 Societies, Sage, 2004) was applied to south Asia as one of ten family business cultures. This work assesses the nature of family involvement in the business, provides pointers for the adviser and owner assessing their situation and so suggests culture specific issues and methods for structuring, managing and advancing family involvement (Culturally Sensitive Models of Family Business in Southern Asia - Gupta, Levenberg, Moore, Motwani and Schwarz, ICFAI University Press, Hyderabad 2008). as an inspiring tool kit for the advancement of family business and wealth. For Hughes wealth is not money but the developing aims of the family and the emotional and intellectual capital shared between them over decades, which will include stewarding and building wealth but also the personal aspirations of individuals and the family. The second major feature of the GLOBE study points to the better educated next generation Indian family members offering challenges as well as opportunities. They want faster change, will draw in many more experiences and influences, will have often worked elsewhere and are unlikely to want to wait. They may drive profitability and expansion. Equally, tensions between generations may cause severe damage. Ramachandran suggests that the success of the few 4th generation Indian families is founded on focus on long term family wealth that averts green field risk, but diversifies and experiments with caution. The process of bringing the next generation into the business should take years, with a careful education emphasising responsibility and choices for the next generation and respect and recognition for the older one. Research by Professor John Van Reenan (Keeping family-owned firms family-run from one generation to the next can be bad for business, Bloom, Nick and Sadun, Raffaella and Van Reenen, John LSE2011) demonstrates that succession selection should be on merit, not primogeniture otherwise poorer performance is a norm. as taxation, treasury or forensic accounting. Gaining the necessary competencies should be taken as seriously by any firm wishing to increase the wealth of family clients. Skills gained, in the family business advisory discipline, nothing beats practice to analyse and support the individual circumstances of each family. Remember where we came in, no family business is identikit. Reproduced with permission of the Society of Trust and Estate Practitioners (www.step.org).